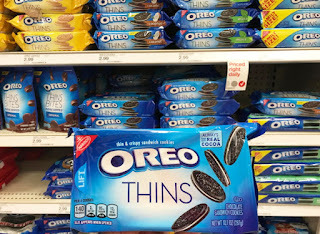 Don’t miss this easy deal on Oreo Thins at Target! When you add a 30% off Cartwheel offer to the Target app on your smartphone and use a $0.75/2 manufacturer coupon at checkout. Pay just $1.72! You can use the Cartwheel offer up to four times per transaction, up to six times per day. This is a nice stock-up price. Pick up a few packages today.